What’s Your Resume’ Look Like? Ever created a resume’? 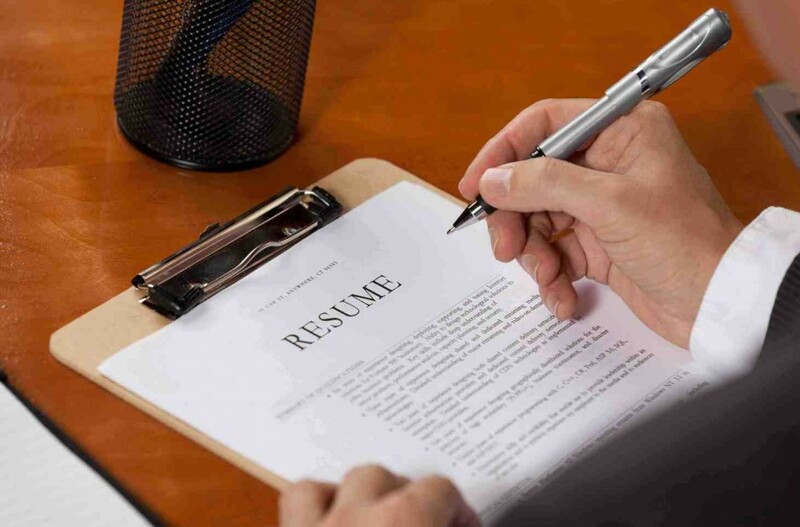 If you’ve ever stepped foot into the working world for any length of time, then I’m sure you’ve gone through the painstaking process of putting together a resume’. With such competition now days in the economy we live in, if you’re in desperate need of a job, your resume’ is crucial. It has to be top-notch. Almost perfect to get anyone’s attention. You’re essentially selling yourself. And to do that, you’ve got to put the spotlight on any experience you’ve had in the most positive light possible. Time to show off your work experience and make it sound as if every job you’ve ever had was made just for you. After all, you’re trying to get an employer’s attention. You have to stand out. Above all the rest. Are you going to include the job that lasted 2 weeks before you quit? Are you going to list the job where you got fired after messing up multiple times? What about the one where someone else took advantage of you, stepping all over you to get to the top of the corporate ladder? And what about references? Yes, those are almost just as essential as your work experience. Do you include the boss who exasperated you into quitting? Do you include the co-worker whom you thought was your friend, betraying you and letting you down at your worst possible moment? The resounding answer to ALL these questions is NO! Of course not. Who in their right mind would even think about including such information on their resume’? No employer would want anything to do with candidates such as these. Thankfully, our Heavenly Father is not like the typical employer looking for the best of the best. No, He is much different from that. The type of resume’ He is after is the one who shows every area of their life…the good and the bad. The ugly. The messy. The stuff you wish nobody knew about you. The things you wish you could hide in a closet. Your spiritual resume’ is more important than your work history. It’s what God uses for His glory. It’s what God uses for pointing others to Him. It’s the broken pieces He takes and turns them into something beautiful. But you know what? If this is ALL I have to say about my life and my identity is wrapped solely around those things, then it doesn’t really matter. Paul calls these things “rubbish” (garbage)in light of the glorious things God has done through him. He had a stellar work history that topped everyone else in his field. But again, he says that none of these things were of any value compared to the riches of knowing Christ. His spiritual resume’ took precedence over everything else. First marriage ended in divorce. Single mom for six years. Daily struggles with pride and selfishness. I’m sure a prospective employer would just love to hire me for the job if this is what I listed on my work history. Ha! But praise God that He doesn’t look at my credentials to determine my worth. Praise God He doesn’t look at my work experience to determine if He can use me. He doesn’t call the equipped….He equips the called. As long as my eyes are on HIM, and as long as I am humbled before HIM, He can use anything from my past and present. He can use it ALL for His glory. The struggles I’ve overcome through His strength can encourage and comfort someone else. The difficult circumstances life has thrown at me can build character in me and make me more like Jesus. These are the things that connect me with others in the body of Christ who also have similar “highlights”. So what does your spiritual resume’ look like? Have you even thought about it? Go ahead…start making a list. The things that you think have broken you. The things that have wounded you. The things that have pierced your heart so deeply. The things that have challenged you to no end. Those are the things He wants to use to bring glory to Him. Those are the things He loves to take that men may have meant for evil, but He can use for a greater purpose. If these things bring you to your knees in desperation and bring you closer to Him, then those are the highlights of your spiritual journey. He is smiling down on you and it’s almost as if He says, “Yes, I can use that. While I can’t assist you in writing the perfect resume’ of your work history, I can promise you a perfect God has His eye on you and wants to use whatever is in your past for His purpose and glory. As far as He is concerned, you’re hired. You’ve got the job! Philippians 3:8 “What is more, I consider everything a loss because of the surpassing worth of knowing Christ Jesus my Lord, for whose sake I have lost all things. I consider them garbage, that I may gain Christ. ← Time to Clean Out Your Clutter? What gifts of communication, wisdom and discernment you have, thanks for sharing! That really spoke to me😀😉thanks!